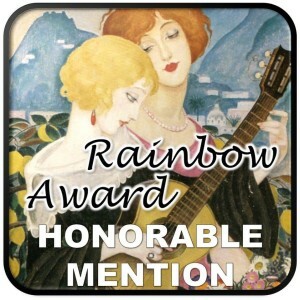 Clancy Nacht > award > Our novel GEMINI won an honorable mention at Rainbow Awards! I am so thrilled that we received this mention. We put so much love, hotness and ripped from the headline-ness in this story, including the ending with Cass’s PTSD at the end. When Paul dies under suspicious circumstances, Cass must rely on one of Paul’s clients, Kilo, a mercenary willing to protect Cass in exchange for favors. Together they have a chance to bring justice to the corrupt heart of Texas’s political power structure, but Kilo’s mysterious past may tear him from Cass when he needs him most. Even if they outlive their untouchable adversaries, how does a polite academic find lasting love with a soldier of fortune?